Born: 19 December 1832, Barry, Scotland, United Kingdom. Died: 15 January 1922, Arbroath, Scotland, United Kingdom. John Kirk, British naturalist and administrator, graduated as Doctor of Medicine (MD) at the University of Edinburgh in 1854. The next year he went to Turkey with the Volunteer Medical Corps during the Crimean War (1853-1856) and served in a hospital on the Dardanelles. In February 1858 he was appointed physician and naturalist to the second expedition of David Livingstone* to central Africa. Livingstone's brother Charles was also a member of the expedition. They started at the mouth of the Zambezi on the east coast, followed the river upstream to the Victoria Falls, and reached Lake Malawi in September 1859. Kirk, who was an early amateur photographer, and Charles Livingstone were the first persons to use a camera on a journey of exploration in southern Africa. Kirk collected many plants in addition to zoological specimens, but specimens were lost when his canoe overturned some time in 1860. His unfailing good humour, tact and sympathy must have been invaluable during the internal strife among the expedition's members. However, he was invalided home in May 1863. Before that his brief "Report on the natural products and capabilities of the Shiry and Lower Zambesi valleys" was published in the Proceedings of the Royal Geographical Society (1862). Back in England he published three papers in the Journal of the Royal Geographical Society: "On a few fossil bones from the alluvial strata of the Zambesi delta" (1864), "Notes on two expeditions up the river Rovuma, East Africa" (1865), and "Notes on the gradient of the Zambesi, on the level of Lake Nyassa, on the Murchison Rapids, and on Lake Shirwa" (1865). 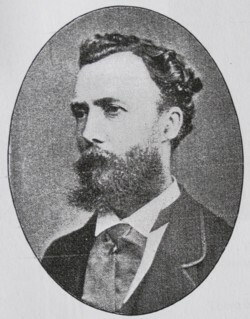 He also published a number of papers on the natural history of the regions visited: "On a new genus of Liliaceae [Walleria] from east tropical Africa" (Transactions of the Linnean Society, 1864), "On the birds of the Zambesi region of east tropical Africa" (The Ibis, 1864), "List of Mammalia met with in east tropical Africa" (Proceedings of the Zoological Society of London, 1864), "On a new species of antelope (Nesotragus livingstonianus) from Zambesia" (Annals and Magazine of Natural History, 1865), "On a new species of bat (Nycticejus nidicola) from Zambesia" (Ibid, 1865), "Explanation of meteorological tables illustrating the climate of east tropical africa" (Proceedings of the British Meteorological Society, 1865) and several more papers on the natural history and products of East Africa. Some birds of Mozambique were named after him: Kirk's Francolin (Francolinus rovuma), a variety of the Black Sunbird (Chalcomitra amethystina kirkii), and a variety of the Arrow-marked Babbler (Turdoides jardineii kirkii). Another species name that commemorates him is the land slug Urocyclus kirkii. Kirk's African experience, and Livingstone's recommendation, led to his appointment in 1866 as acting surgeon to the British Agency at Zanzibar. The following year he became vice-consul, and married Helen Cooke. Continuing his activities as a naturalist he collected many new species of flora and fauna on the island. Some of these were named after him, for example, a lemur (Otogale kirkii), a small antelope (Kirk's Gazelle, Madoqua kirkii), and the plants Landolphia kirkii and Clematis kirkii. He became consul-general in 1873 and in June that same year concluded a treaty with Sultan Barghash which stopped the Arab slave-trade in East Africa. His influence in the region was such that he has been referred to as the real originator of the British Empire in East Africa. He retired from the consular service in 1887, but during 1889-1890 represented the British Government at the African slave-trade conference held at Brussels. The British government sent him on a mission to the coast of present Nigeria in 1895. Later he served as a member of the committee for constructing the Uganda railway. Kirk was a Fellow of the Royal Society of London (FRS). He served as the foreign secretary of the Royal Geographical Society, and received the society's gold medal in 1882. He was appointed a Knight Commander of the Order of St Michael and St George (KCMG) in 1881, a Knight Grand Cross of the Order of St Michael and St George (GCMG) in 1886, and a Knight Commander of the Order of the Bath (KCB) in 1890. Towards the end of his life he wrote This way and that way; a backward look and a foreward look at the problems and progress of child-welfare among the very poor (London, 1917, 20p). Bensusan, A.D. Silver images: History of photography in Africa. Cape Town: Howard Timmins, 1966. Doidge, E.M. South African fungi and lichens to the end of 1945. Bothalia, 1950, Vol. 5, pp. 1-1094 (see p. 39). McKay, H.M. Who's who in South African ornithology. Bokmakierie (new series), 1966, Vol. 18, pp. 33-35 and 64-65. [Obituary]: Sir John Kirk, GCMG, KCB, FRS. South African Journal of Natural History, 1923, Vol. 4(1), p. 86 [reprinted from Nature, 26 January 1922]. White, A. & Sloane, B.L. The Stapeliae (2nd ed., Vol. 1, p. 107). Pasadena, 1937.